El 'Cache' es una lata de cafe. 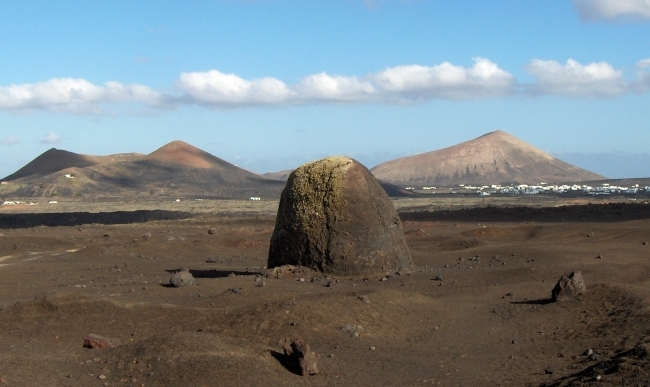 Relativamente fácil: Caminando alrededor del volcán (Caldera Colorada) encontraréis la bomba de lava más significante de Lanzarote. Allí se encuentra el Cache. Bombas de lava se forman cuando un volcán expulsa fragmentos viscosos de lava durante una erupción, debido a sus movimientos giratorios obtiene su forma redonda. The cache box is medium sized coffee tin. 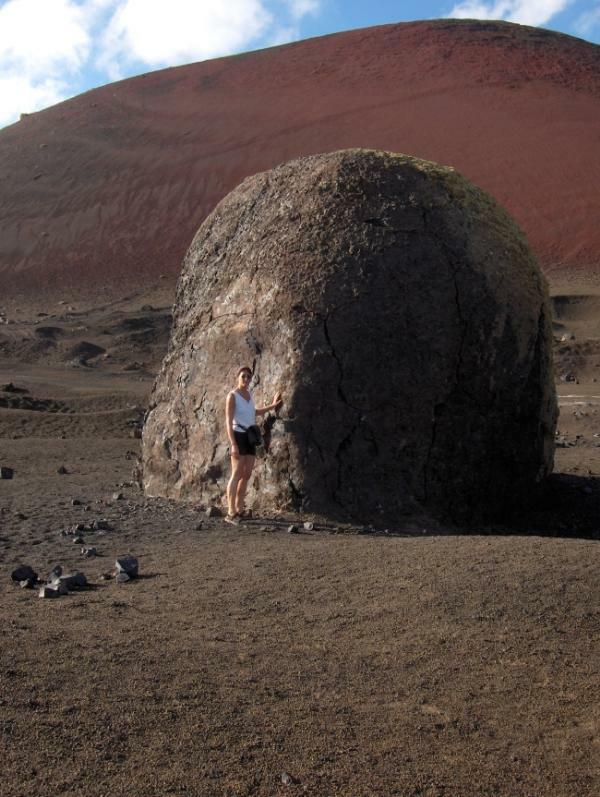 Just walk around the volcano (Caldera Colorada) - you can't miss the biggest lavabomb on lanzarote. A lavabomb once was liquid lava that erupted and turned and twisted in mid-air until it got a plum-like shape and congealeded before hitting the ground. Eigentlich ganz einfach: Lauft einmal um den Vulkan (Caldera Colorada) herum und findet die groesste Lavabombe Lanzarotes. Dort in der Naehe findet Ihr den Cache. Eine Lavabombe ist ein flüssiger Magma-Auswurf, der in der Luft durch Drehung zu einer runden Form kam und erstarrte. NOTE: I am maintaining a list of ALL CACHES on LANZAROTE, that may probably help you, organize your excursions when you are on holidays here and combine those caches suitable for you in an easy manner. The list contains several categories and caches that are easy to combine are grouped. The list is maintained in english. I've received a lot of mails that users found this list helpful.